Equine Guided Coaching (EGC) is a coaching session in which an individual works with a horse to gain insights much more directly and quickly than they might otherwise. Equine Guided Coaching integrates the wisdom of horses into the traditional coaching process. This experiential process helps leaders and individuals learn about themselves. Horses are authentic. They do not have the ability to lie. Their wisdom can provide endless lessons to help us raise our self-awareness. Horses are intuitive beings who rely on their instincts to survive. They have the ability to know when we are being authentic and when we are not. The horse can be the perfect partner to help you discover your purpose, your passion, and your innermost feelings. Through working with horses, you can improve self-confidence, develop better communication skills, and gain great self-awareness. These insights and this kind of learning get straight to the heart of issues that may take months to get to via other methods. When clients have a session, they can have immediate insights that can affect how they go about their lives and work. 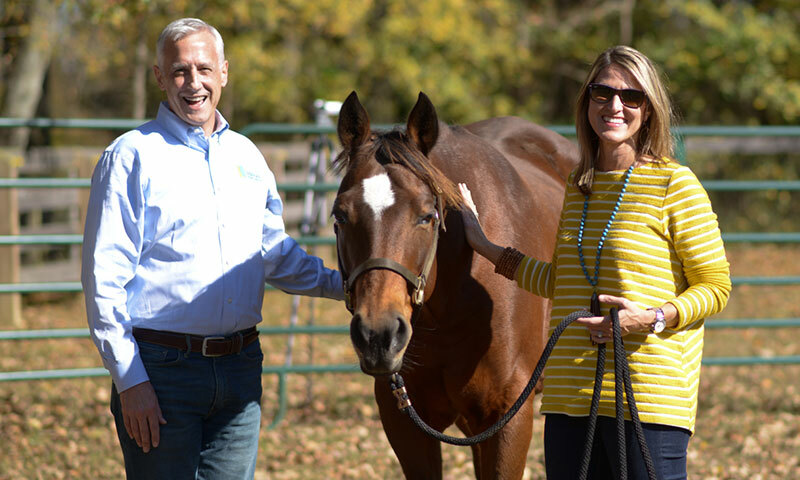 EGC offers a unique leadership development experience guided by the wisdom, power, and kindness of the horse. As both herd and prey animals, they are highly aware of their environment and everything in it, including the other members of their herd. They are aware of any inconsistency – any incongruity – in their environment or their herd, and it is that instinct that allows them to sense any incongruity with our words and behaviors. Horses are primarily nonverbal animals, meaning they communicate with one another through body language and movement. This ability allows them to interpret human body language, emotions, and feelings accurately – in an open, undemanding way. 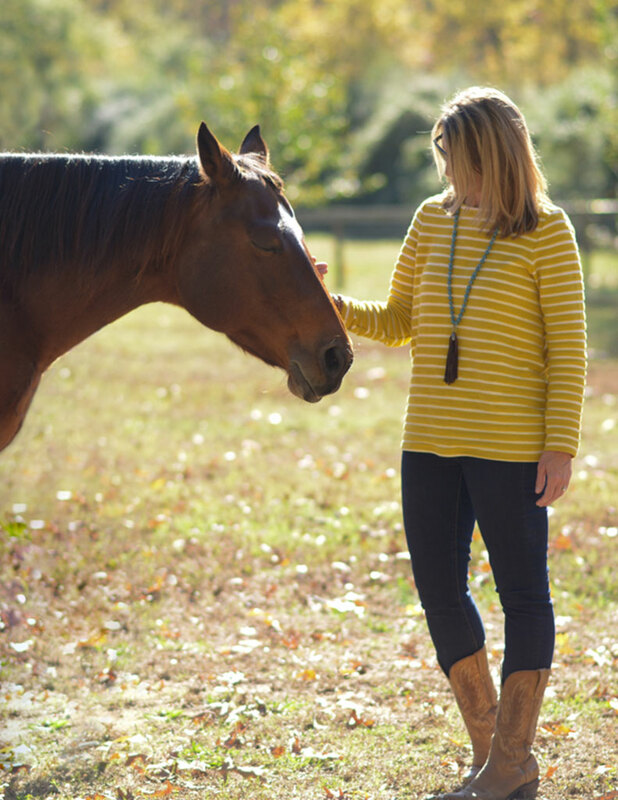 Horses either mirror or react to your nonverbal cues – your body language. This honest feedback can bring new insights and facilitate powerful change. EGC is truly ‘experiential’ because it involves all of your senses. 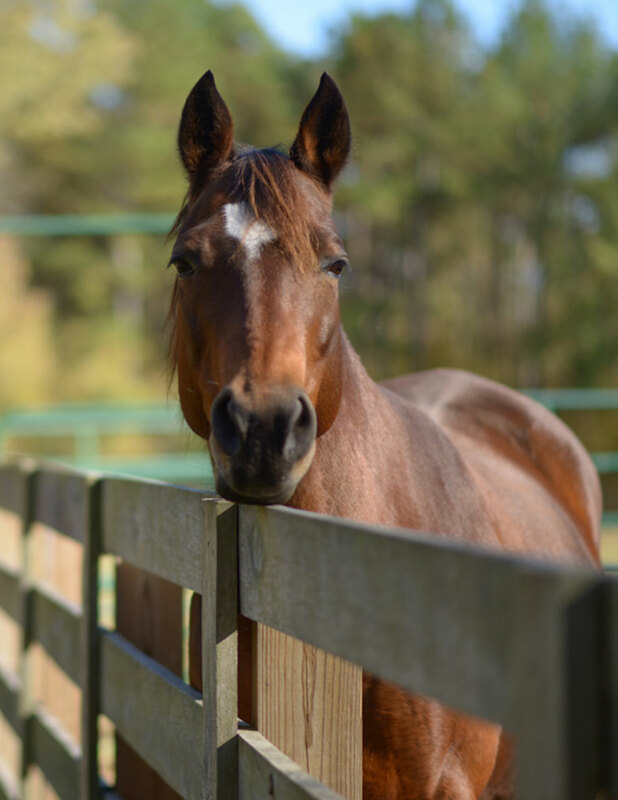 When you work with our horses, you will see them, touch them, smell them, and move with them. You will experience the rhythm and balance of nature in a peaceful country setting. In addition to working with my own clients, I encourage professionals from the Coaching, Organizational Development, Human Resources, Learning and Development, Counseling, and Therapy fields to partner with me to share the benefits of EGC with their clients. 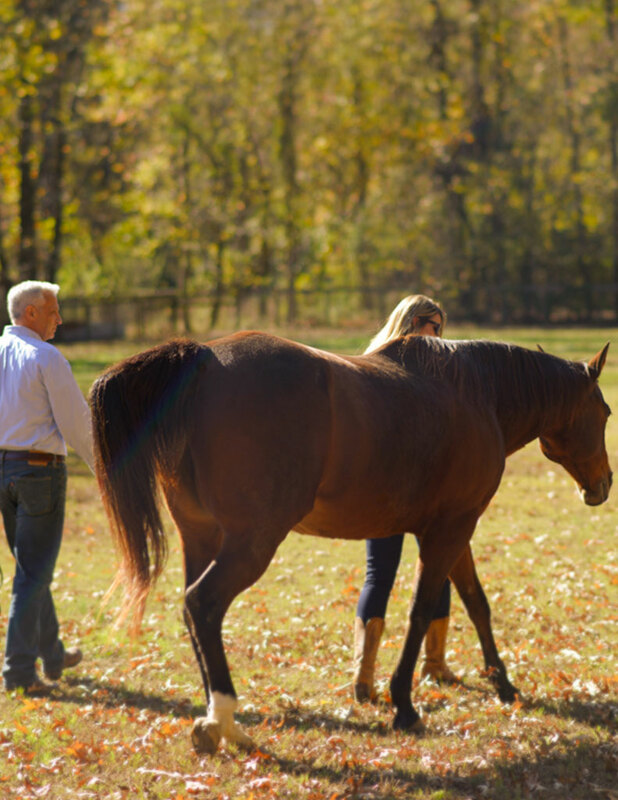 No prior horse experience is needed to participate in Equine Guided Coaching. All exercises are done on the ground and there is no mounted work involved.